I had such a splendid time last weekend in Gatehouse of Fleet. James and I travelled to Lockerbie where Richard, one half of the dynamic team that runs The Bakehouse, picked us up and whisked us off through green rolling fields and blue skies to their charming village. Poet (and much more) Chrys Salt met us at the door and we were welcomed into their gorgeous home and writing centre/performance venue and fed delicious tea and cake in the sunny garden thrilling with birds and scented flowers. The reading that evening was populated by marvellous writers and poets, many of whom shared their work in the second half. We then had a tremendous dinner and went to bed glowing. The next day a walk through bluebell woods brought us to the sea, and we left that afternoon promising to return soon. 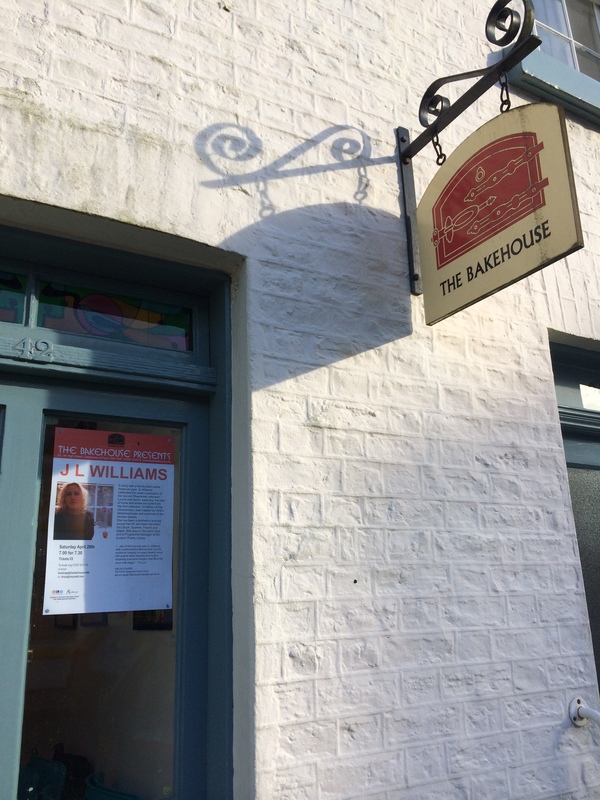 I can’t recommend The Bakehouse and Gatehouse of Fleet enough (try the ice cream!) and was delighted as well to meet some of the prose writers who were in attendance at the novel-writing course also on at the weekend. Do head out for Big Lit 2014 weekend.